You’ve found the perfect home, and you’ve fallen in love with it. You are ready to move in right away, except for one little thing — the cost. Dream homes that come with all the bells and whistles often cost a pretty penny. But don’t worry: there are still many ways you can go about affording your dream home. Look at the purchase of this house as not only a luxury but an investment. You might end up selling your house and moving into a retirement home one day. Your children might inherit the home some day and wish to sell it. 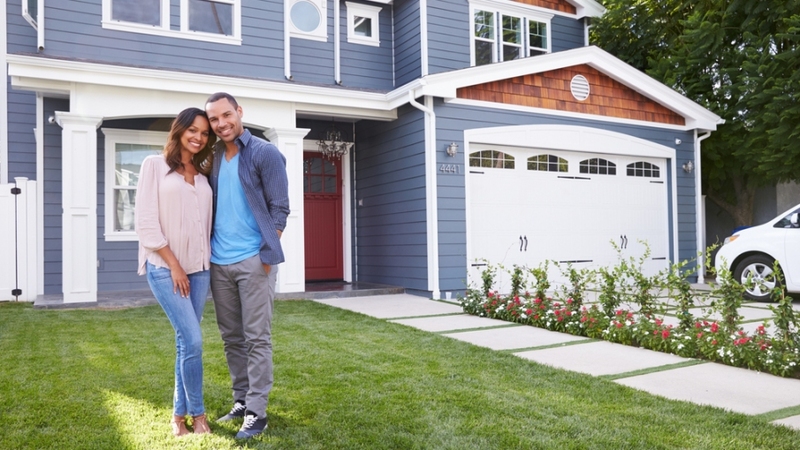 Either way, the house is going to be putting money back into someone’s pocket at some point, so do what you can to make sure the resale value is high. Pay attention to the housing market. Is it a buyers’ market or a sellers’ market? Depending on where and when you buy, your home might cost less, so shop around a bit. Negotiate the price of the home, especially if it’s a buyer’s market. Sometimes people are willing to part with the house for less than the listed price. You might be surprised by how much you can save just by asking. While you certainly want your dream home to be perfect, also remember to look at the home’s surroundings. For instance, look at these Edmonton homes for sale. They provide green space and a nearby park and pond allow you to enjoy nature. At the same time, you are still close to city amenities — you get the best of both worlds! You want your dream home to be a good investment on all levels. Plan in advance; don’t just buy a house at the spur-of-the-moment. If you know you want to buy a new home a year or two down the road, start saving now. Give yourself time to save up a chunk of money to help cover the expenses of a new home. Stash a little bit away each month. You are going to want to make sure your down payment is at least 20 percent of the home’s total cost. If your down payment is less than 20 percent your lender might require you to purchase private mortgage insurance (PMI), which is going to add even more to your total costs. Also, think about how your new home is going to change your budget. An expensive home might actually cut costs later down the road. You might save on gas with a shorter commute. New appliances might lower your utility bills. Look at the costs of the future as well as the present to determine how much you can afford to spend on a house. There are countless ways to invest your money. Savings accounts do earn interest, but the rate is typically very low. Look into other options with a higher payout. For example, you could use a certificate of deposit. CDs lock your money away for a period of time, but they also have a higher rate of interest. Some interest rates for CDs can be as high as 2.05 percent. There is always the stock market. Consider investing in a growing, lucrative industry like cryptocurrencies or cannabis. For example, you could purchase cannabis stocks. Many cannabis products show projected growth over the next year, which means payouts could be high before long. As with any stock, always stay up-to-date on the latest news surrounding the product. For example, if you do decide to invest in cannabis remember that marijuana is a hot topic, so keeping up with the latest laws and trends is important so you know when to buy and sell stocks, and utilizing a site such as mmj stocks to monitor current prices can really help you stay profitable. Look into mortgage programs. Sometimes, major banks offer a mortgage with low down payments. Talk to a housing counselor to help you look at your options and determine the best option for you. You could also consider refinancing your student loans. This can lower your interest rate, meaning you’ll have more to put towards your house. In order to do this, you will need to have a good credit score and a stable full-time job, but if you do qualify, you could save thousands of dollars. You could possibly qualify for special housing discounts. For example, if you are are looking to buy a home in a rural area, see if you qualify for a US Department of Agriculture loan. With these loans, you can pay 0 percent down if you meet the requirements. Another helpful program is the Department of Housing and Urban Development’s Good Neighbor Next Door program. If you are a teacher, police officer, firefighter, or emergency medical technician, you can get up to 50 percent off of your home through this program. Buying your dream home is exciting! With some careful planning, you will be able to afford the perfect house without straining your budget.